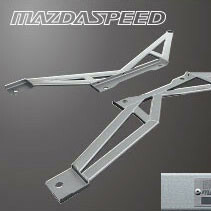 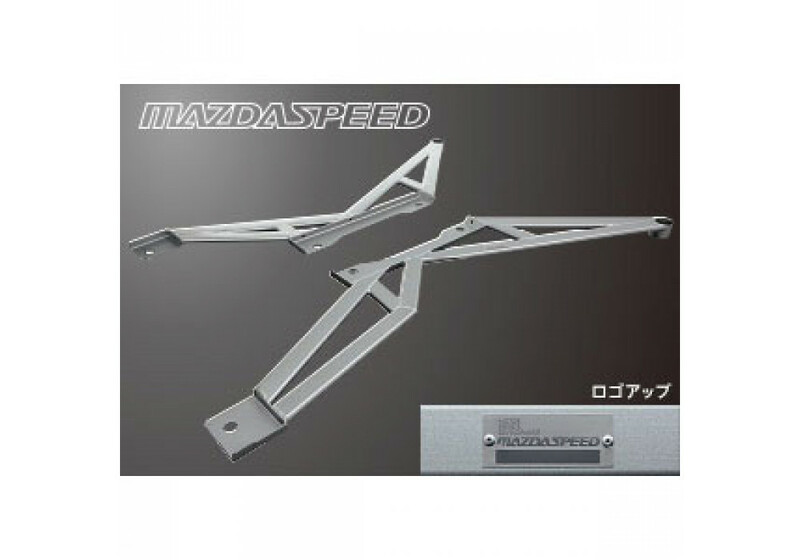 Steel performance bar made by Mazdaspeed of Japan. 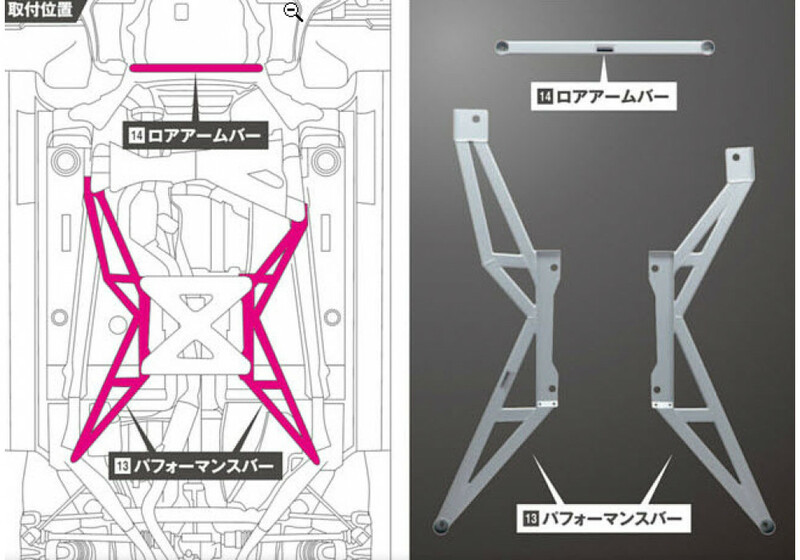 This chassis bracing kit makes an X shape to brace both sides of the car together to further enhance cornering capabilities. 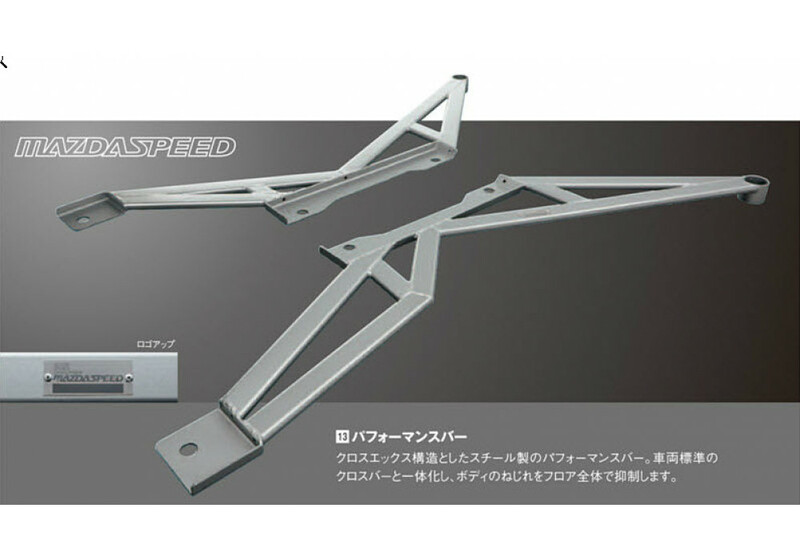 Mazdaspeed Performance Bar should be ordered at REV9 Autosport https://rev9autosport.com/mazdaspeed-performance-bar.html as they provide the best service and speed we've seen so far!